Slide and snap together to make creative structures! 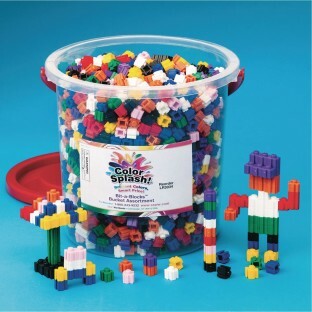 Over 2,000 itty bitty Bit-A-Blocks™ included. Enough for all your block enthusiasts. Endless design and pattern possibilities. Great for developing fine-motor skills. Over 2,000 itty bitty Bit-A-Blocks™ slide and snap together to make colorful, creative structures! Enough for all your block enthusiasts, with endless design and pattern possibilities! 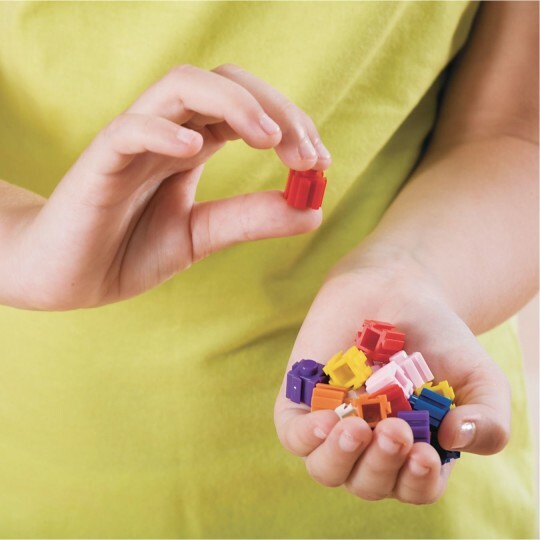 Great for developing fine-motor skills. Nine assorted colors in a handy storage tub. Each block measures 3/8" x 1/2".